Hi loves! Happy Wednesday! This means the weekend is around the corner. Let me rewind a bit; did you get to watch the Oscars? Ellen Degeneres was definitely amazing as a host from the pizza delivery surprise to the now popular selfie photo, she performed brilliantly. If you follow me on Facebook, you probably got a look at most of the red carpet styles. I also posted my favorite picks for the night on my Instagram such as the outfits of Charlize Theron and Lupita Nyong’o. I was so happy for Lupita’s win and her speech was powerful. Her quote that “No matter where you’re from, your dreams are valid” still resonates with me. In continuation of my previous post i.e. 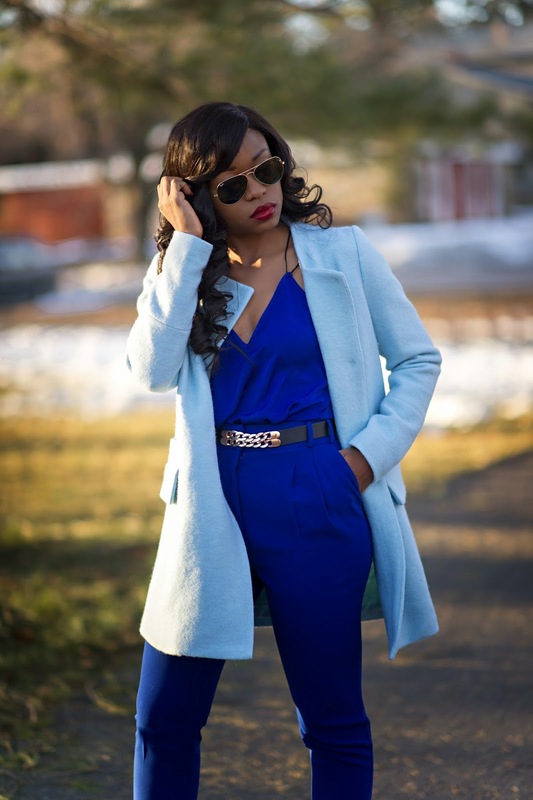 “Trend Alert: Cobalt blue”, I want to show you guys how I styled cobalt blue. 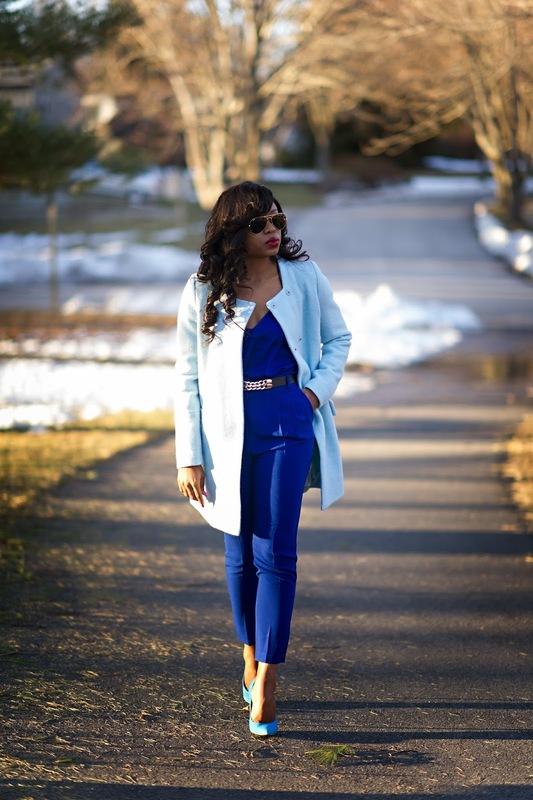 For this outfit, I went for a monochrome approach before completing the look with a different shade of blue. My goal was to create a contrast. 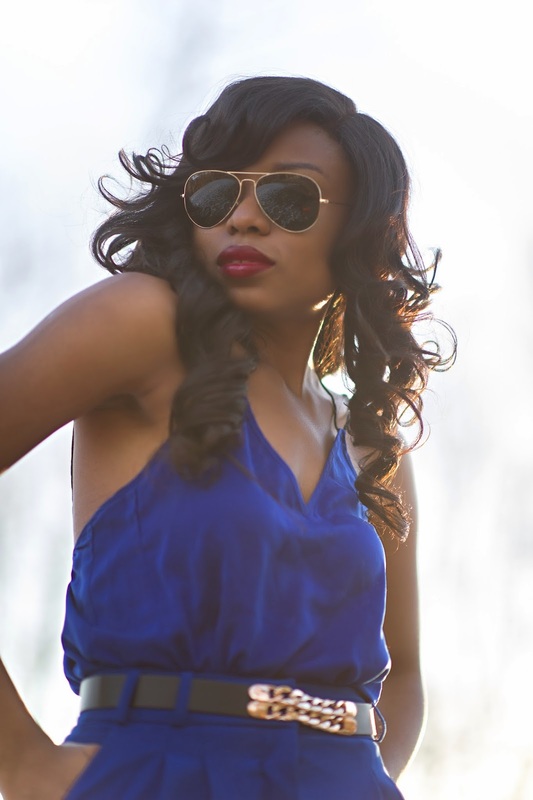 You can also get different styling inspiration with cobalt blue from my previous posts here, here and here. I love the vibrant and deep tone to the color…a statement piece on its own. Love the colors! They look great on you! Love the colors. They look great on you! love the blue on blue!! The colour is so beautiful! Love! beautiful love the blue on you! Thought it was a jumpsuit even, nice! I love it! Blue is definitely in! I almost thought it was a jumpsuit... Giving me inspiration on my next sewing project. Haha! 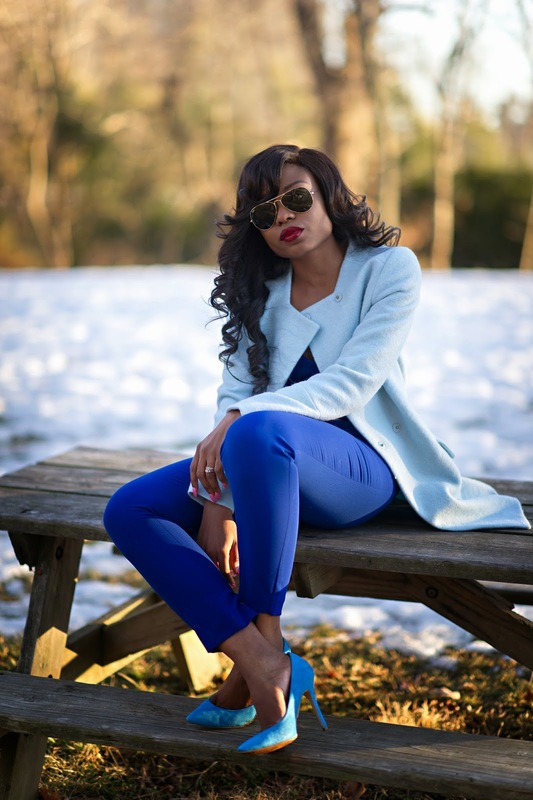 I love the way you combined the cobal blue with other shades of blue that are subtle, I will surely try out that look. fabulous!!! thought it was a jumpsuit until i read the deets. sophisticated! If you didnt mention it, I thought it was a jumpsuit. Perfection!